Another Terror attack has arrived in the United States. 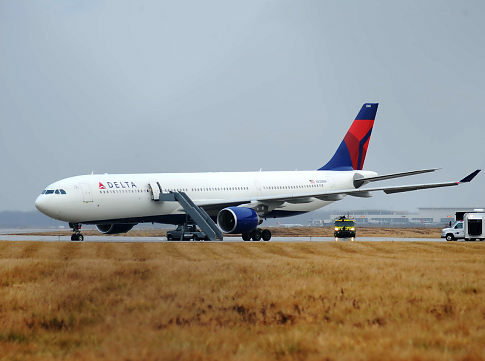 On Christmas the Nigerien Citizen Umar Farouk Abdul Mutallab who lived a privileged life at home (http://is.gd/5Dq7F) and with ties to Al Qaida has attempted to blow up an Airplane from Delta Northwest Airline over Detroit. Thanks to God Almighty and the courageous intervention of an American Hero this attempt stayed unsuccessful (http://is.gd/5Dqyt). But where is the President, condemning this horrific attempt of Terrorism? Where are the self proclaimed humanitarian Democrats, the current Administration? All you hear from our current Administration is the average blame game that this suspect has been on the watch list for at least two years; Other than that nowhere to be found. Let us remember when a Black Professor ran ballistic when the police tried to investigate a burglary in his home and forced the Cops to apprehend him. Let us remember Obama’s appearance in Cairo. Mentioning and quoting several times the Quran, pointing out on several occasions the “great Religion of Islam” while only mentioning the Bible a few times and finally making the Statement that America is not longer a Christian nor a Jewish Nation. Major Malik Hassan, born in the United States, educated on Tax Dollars in the U.S. Army, member to Obama’s administration and several times reported for his strange behavior yelled Allah et Akbar and killed in a rampage 13 brave American Heroes and wounded over 30. In his first press conference Obama cheered to his Partisan Members, smiled and made a short and meaningless statement warning “Not to jump to any conclusions”. Obama and his wife have not found it necessary to fly down to Texas and visit and comfort the wounded, and the victims or their families, but George W. Bush and his wife Laura did. 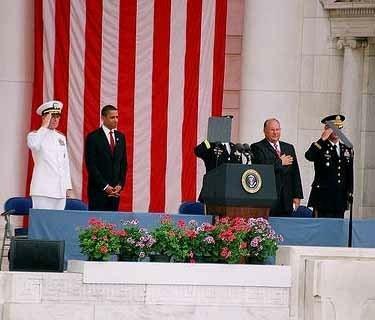 No Obama appeared at the funeral once again proofing how less he thinks of America when during the National anthem he refused to lay his hand on the heart. It did not take him too long during this speech again mentioning “The great Religion Islam” while not mentioning Christianity with one word. And now flight NW 253 to Detroit – WHERE IS OBAMA? And Obama is in Hawaii, next to California the most liberal State and his biggest supporter and enjoys his Christmas vacation not feeling the need to address the nation on this ambidextrous attack. 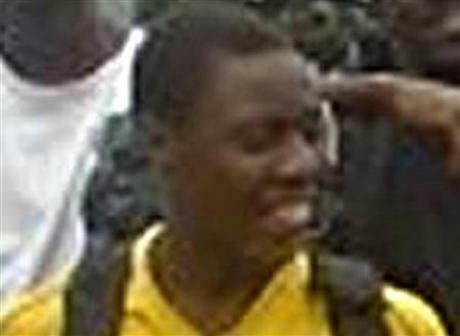 Umar Farouk Abdul Mutallab is a Black Nigerian Muslim from Africa. – That brings Obama in big troubles since he thinks so highly of his African Muslim friends and so less of his Christian American Tax Payers who provide his years salary. Or maybe he just does not want us to jump to any conclusions. Condemning this would anger Obama’s Muslim friends and his African friends and probably half his Black left radical community organizers friends. Or maybe a Terrorist Attack on U.S. Soil and the threat of thousands of dead Americans is for Obama and Pelosi just not as important as the Healthcare Bill and they rather celebrate. 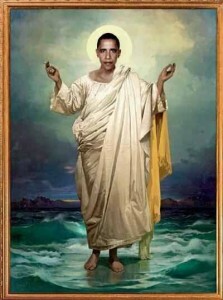 Enjoy your vacation Barrack Obama and don’t worry our Nation is not as important as your Hawaii deep sea snorkeling. First and Foremost Democrats and Ethics is a Contradiction in itself – So the Democrats leading the Ethics commission is like making the Fox the Guard of the Henhouse. Jim and John rob a bank. During the escape, John sees an innocent bystander and witness. In order not to be caught or identified John tells Jim the witness must die. He walks over and shoots the innocent witness in cold blood. Jim does not pull the trigger but he does nothing to prevent the murder – he is in silent agreement – committing the act of “Omission”. In the State of Texas and most other States in the U.S., as well as all over the civilized world, Jim is as guilty as John, just like he would have pulled the trigger himself. Mike and Bill negotiate a contract. They don’t come to an agreement. Mike tells Bill, that he has managed to hold the business of Bill’s wife in his hands. Either Bill signs the contract or Mike will destroy his wife’s business and ruin the family. 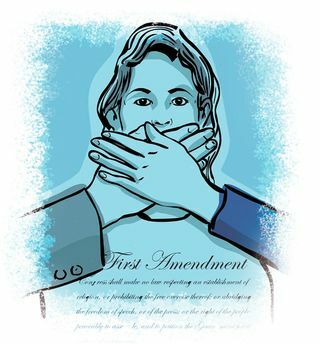 The contract between Mike and Bill, made and signed on the grounds of threats towards a third person, would be inoperative because it is immoral and against public policy. 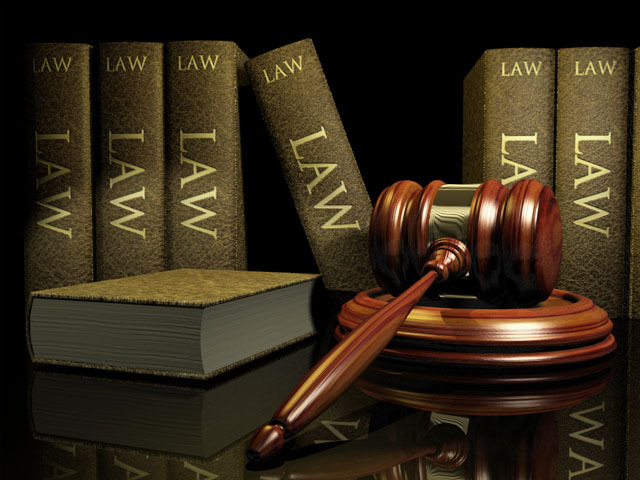 Those laws are not invented by me; those are given to us by the legislation – our Lawmakers in the Senate and House. Do the cases above sound familiar? – Sure; that just happened in Nebraska with the Obama administration represented through Harry Reid and Senator Nelson (D-Nebraska) as well as with Joe Lieberman (I-Ct.). Two days before Obama takes off to Copenhagen, he made an agreement with his partisan administration that he will not sign away American Tax Dollars easy when the healthcare bill goes through before Christmas. Up to here it is a simple Chicago-business deal. Nelson knows about the position of the Citizens in his State. He is the missing link. The 60th vote the Left Wing Liberals need to pass the bill. And here is where it gets criminal. To get Nelson in line, members of the Obama administration under Harry Reid, approached him letting him officially know that if he does not sign off on the Healthcare Bill the administration will close out STRATCOM; the Strategic Command Center and jeopardize American Safety, the safety of U.S. Soldiers, and more than 10,000 direct employees and another 2,000 employees from contracting companies. What a price to pay for a Christmas present for Obama. The Democrats, the party who claims to be the party of the little man, would rather send more than 12,000 citizens into unemployment than re-think the Health care reform. Immediately after the vote Senator Nelson felt the heat from his Colleagues and Citizens in his State. Urgently he announced yesterday in ineffectual comments about the bigger picture and that he “Did what needed to be done to “rescue” major employment in his State”. 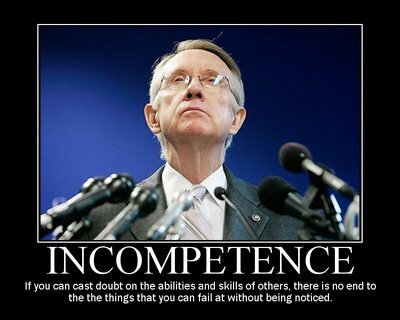 Or bottom line he was a lousy Poker player when he thought Harry Reid would really close out 12,000 jobs to get his will. Harry Reid announced today: “Any Senator who did not manage to get some pork in the health care bill is incompetent” (http://is.gd/5xp3Y). Well, aren’t we glad we have you Harry? 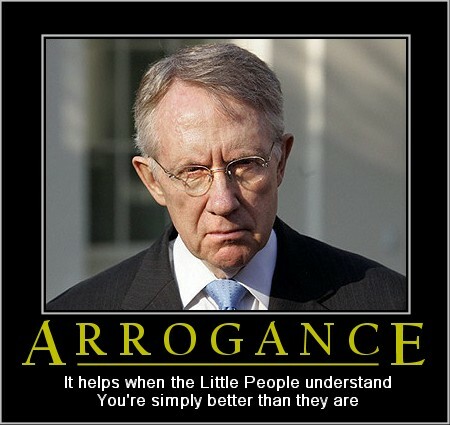 So Reid is committing extortion that is for sure and commits a Federal crime here. This is not a theory but a proven fact. He has made those threats publically through the press so the proof is there. Obama knows about that and does not prevent this. That makes him a clear accomplice and he is as guilty as Harry Reid in committing this crime. Where is the FBI? Where are the Prosecutors (I know that Politicians hold immunity)? Where is the Ethics committee? Oh I forgot the Democrats are the leaders in the Ethics committee – like I said at the beginning of this blog – Making the Fox the Guard of the Henhouse. Shelly Roche stated it quite clear today in her Video Blog when she said, “This Bill is Unconstitutional, because Congress does not have the authority to enact this legislation. People of both parties recognize no limitations to their power”. 1) How can the Health Care Bill be legal when the foundation is a Federal Crime – committed by those who are supposed to be upholding the Law? 2) When the Laws in the United States apply to everybody? Why is it that nobody screams when politicians openly break the Laws and publically commit Crimes; Just like Harry Reid did with the Healthcare Bill? 3) How can the Health Care Bill be Legal when it’s Unconstitutional? 4) And last but not least – where are the Republicans and why are our Lawyers not seeing this? Maybe one of my readers can explain that to me. And this is the Mastermind on the World Government project. Here you will read how the UN is using other countries through Diplomatic Channels, lies and secret kept operations and actions to produce war in order to concrete its own power. The UN is, on the outside a toothless tiger permanently bankrupt and seeing itself as a peace and human rights organization with a single headquarters in New York, but 2 headquarters in Europe. The reality is that the UN is a walking history of a war producing and corrupted institution pursuing the idea of being the world’s government. Here are only a handful of examples of 64 years of peace fraud. We teach our children that Korea was an American Police action but the truth is that Korea was a UN invasion gone badly. Lack of communication and a lack of strategy lead the UN into a disaster; then calling in as usual the United States for help. While our country took the heat the UN lifted itself up as the peace Negotiator while it made the U.S. look like a war loving country. Vietnam – it was the UN complaints about the Russians getting too strong in Southeast Asia and the request of the UN to America to send Military instructors there to teach the South Vietnamese how defend themselves. That is what led to a 10 year American disaster. Near East Region (Syria/Israel/and surrounding areas) – despite G.W. Bush’s comment of the axes of evil, Syria has complied with the UN and assisted America in the Operation Desert Storm also known as Gulf War 1. Syria has also been trying for 5 years to sign a peace treaty with Israel and end the conflict, but so far all attempts have been stopped or boycotted by the UN Lobbyists claiming that the peace treaty can only function when the entire region is involved instead of taking one problem at a time. The truth is the UN is not interested in any peace treaty ever. If so, in my opinion, the problem could be solved within 6 months. Any peace in the near east right now would be against the interest of the UN who needs those conflicts. Otherwise the existence and the costs for the UN would be questioned. Iraq conflict – It was the UN Weapons inspector of German descent Hans Blix planting the idea of existing Weapons of mass destruction in our heads through constant complaining about how un-cooperative Saddam Hussein was, and how suspicious the tracks were. Together with Hussein’s permanent threats against the U.S. and Israel; Hans Blix’ conclusions lead the U.S. Intelligence to its interpretation of Satellite pictures, which finally lead to the Iraq war. As soon as the damage was done and the U.S. was at war the UN pulled back and spoke out against the War. They removed Hans Blix from Office and blamed the un-liked UN critic G.W. Bush for the outcome. Those are only a few excerpts of how the UN works – and the same game goes on right now with Iran. The only difference now is that with Barrack Obama they have a socialist puppy dog the UN can manipulate as they please. The UN is an institution driven by corruption and fraud in every aspect. And yet the United Nations is involved in every decision regarding political, financial, economical, environmental, and Foreign affairs. Did you know the UN is not accountable to anyone? Who is controlling the financial conduct of the United Nations? Who is controlling what happens with the donations? Who is controlling what happens with the money governments pay if they don’t fulfill their CO2 limits (Yes this money is administered by the UN as well)? Who is controlling what happens with the money if we buy these so called CO2 tickets? The answer is nobody because the UN is not required to report to anybody. Those are the 4 main key players in order to run the world government. Now you might ask yourself, what is with the GUS (former Soviet Union), China and Australia? Australia is already involved in the UN and is correctly contemplated as part of the British Empire as well as Canada. They are oriented on what the British Empire is doing. China is just about to establish its place as a World Power, and is in the process of becoming a full participant in the UN. Not to forget that China is a Communist country and Russia is acting like a sleeping Bear which doubles the danger Russia presents. Russia knows that it holds a third of the ground resources in the world and this wealth allows them to interfere when it suits them. What has all of this got to do with Copenhagen? The question is the other way around – what has Copenhagen got to do with the environment? Fact is that in the end the countries participating agree on two major issues. 1) How much CO2 emissions is every country allowed or how much of a percentage must we reduce? This question does not really occur if we don’t want to lose employment. Fact is if we don’t fulfill the agreement we can buy our way free by paying a fine to the UN, or buying CO2 emissions tickets from third world countries. In that case I ask myself the following questions? What happens with the fines paid to the UN? And don’t tell me that it is invested in Environmental projects – That is an insult to every thinking Americans intelligence. If we buy tickets from poor countries – what country can afford to sell its tickets? Only a country that does not have any industry whatsoever. But 90% of the countries without a functioning industry are in the middle of some sort of a war and would buy weapons with that money. 2) How much money are the countries pumping into the third world and what for? The official statement is that with the money donated (right now 15 Billion Dollars by the European Union – well President Obama is not there yet), the UN will finance Environmental projects in third world countries. OK, we all know now that 60% of the money disappears in “administrative” channels and from the remaining 40% the UN buys way over priced material from its affiliated partners. Those partners of course are also in countries where some sort of war dominates, and through the backdoor the war is financed. And not to forget that from the actual purchased material, 90% is being stolen by warlords and sold on the black-market to finance the ongoing Genocide. The entire Copenhagen summit or any previous or following summit is a hoax and has only one purpose, to collect money the UN can use to finance the wars in the world with one hand and with the other hand act as the peace loving humanitarian so as to give itself a right to exist. Because as long as the UN acts like a peace lover and humanitarian, and campaigns with its peace and health building actions, the citizens of the countries will not question the existence of the United Nations, and the UN can concrete its power as a world government. And I have never heard of a country demanding the audition of the accounts of the UN without being slandered. That is why we should stop Obama from spending any more money on and to the UN. No matter what treaty he signs in Copenhagen we should make it clear we are not willing to pay and participate. And we should re-think what and where we spend our money on, and what projects we support. We have so many poor people in our own country that need our help, people who are without their wrongdoing in financial distress. We have family and loved ones of fallen soldiers in our country that need our help, children that need our support. Let us focus first there. I do not say African countries don’t need our help, the children there are the real victims and it breaks my heart, but first those countries need to prove to us that they are willing to do their fair share including showing us how they plan to pay back their debt. And the UN needs to open its accounts – we have a right to know what happens with our money because let’s be honest here – the money Obama gives to them is not his, It is our Tax Dollars. You might ask, what do they have to do with all of that? From January to November those countries run from one putsch to the next, one dictator supersedes the next one. In mid November when the countdown to Christmas is opened and the hearts of the Christians are filled with love and compassion, Right on time, the ongoing Genocide stops and we are swamped with pictures of poor suffering babies and women to seduce us to donate. And yet there are many, many real poor countries, Africa is the world champion in collecting donations. Private donations – Private people in the rich countries collect per year an average of 5 Million Dollars – This makes about 30 Countries who are participating in the private collection – 150 Million Dollars every year. This has been going on since the 60’s which gives us a rough estimate of approximately 7.5 Billion Dollars in private donations. With this money help organizations claim to buy food, medics, and construction materials. The distribution is going through UN channels and 65% of the Cash disappears in unknown channels. Another 30% ends up officially stolen by the Warlords where the UN, I am sure takes it cut from the black-market profit of those goods, and the remaining 5% actually ends up at the victims door. That makes a total of approximately 4.9 Billion Dollars in almost 50 years of Private Donations administered by the UN. WHERE IS THE MONEY? And this is only in the private sector. How about the official payments demanded in those summits. The G8 (G20) meet 4 times a year and the Climate Gate Summit is once a year that makes a total of 5 Meetings. In every meeting you do not see Asians or any other poor countries, no, only the African Countries show up with their colorful traditional clothes and traditional dances permanently demanding money and credit cuts. Why does a continent that performs Genocide become a credit anyway, if not to buy weapons to maintain the war? In all five summits are agreements of debt reduction and direct donations to Africa. The debt cuts allow African countries to apply for more credit, just to assure in the next summit that these very same credits are cut again. In addition to the credit cuts they demand direct donations in the Billions by the western civilized world. Putting a number to it we are talking about an average of 30 Billion Dollars every year since 1975 this makes a total of 1Trillion 20 Billion Dollars through 2009. That number is not too high since the European Union just made an agreement of 15 Billion Dollars for the official third world countries (98% goes to Africa) alone at the Copenhagen summit. Now add the 1 Trillion 20 Billion Dollars officially, plus an additional 7.5 Billion Dollars from Private donations which is a grand total of 1.27.5 Trillion Dollars. Now consider that 60% of the money disappears in unknown channels, only 5% actually goes to the people, and the rest ends up as food, Construction Materials, or prescription drugs purchased by UN affiliated company’s that ends up on the black market ( http://is.gd/5p1Uh ). Germany and Austria received a 100 Million dollar credit after WW2, also known as the Marshal Plan. That would equal an amount of approximately 1.5 Billion Dollars today – both countries have paid off their debt in full, including interest as of 2 years ago, and yet both of them belong to the richest industrial countries in the world. Africa, on the other hand has no economy or industry what so ever. After over a Trillion dollars in donations they have nothing to show for it except Genocide and state of the art weapons that some western countries would love to have. And yet Africa is never forced to pay back anything or show any progress. 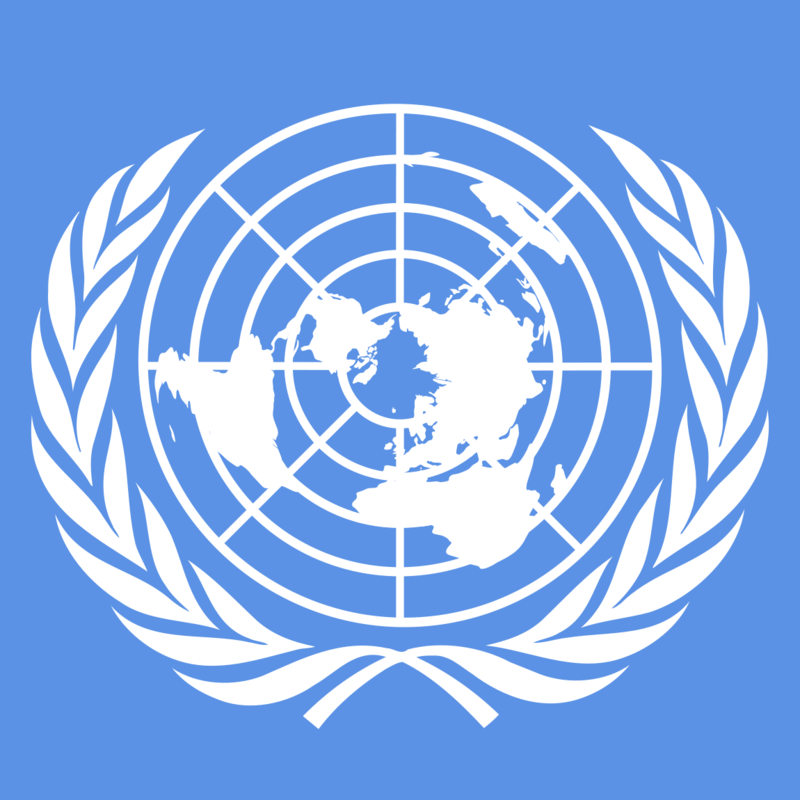 Responsible for the distribution of the finances and the credit reduction is the World Bank and the United Nations. And the UN is not accountable to anyone. There is no controlling the United Nations. Every criticism is washed away. A third of this money comes from the United States of America. Imagine how we could lower our deficit by using that money for ourselves. The World Bank was established in 1945 to provide leverage loans to developing countries for a capital program. The World Bank is strongly affiliated with the United Nations and now participating in more than 31 worldwide activities that have nothing to do with the traditional banking areas. For example: Conflict development, Environment, Gender, Health – Nutrition and Population, Information/Computing and Telecommunication, Law and Justice, Mining, Labor and social protection, Private Sector and so forth (http://is.gd/5lePI ). All areas where I ask myself what does that have to do with banking. The European Union was originally founded as an economical counterbalance to the free enterprise, U.S. Market, and trade organization system. Today, The European Union has 27 members, a combined currency, and their own defense force as a military counterpart to NATO. The European Union is strongly undercut in socialist principles where even the Christian conservatives are more or less having socialist agendas. The idea is the total control of every aspect of life, economy, and personal living. The European ideal is a centralized government that is in total control, including the media. They control the media by undercutting them through credits. All banks are one way or the other in governmental control, and since every company lives off of bank loans and credits the governments use this opportunity to infiltrate the media so they can transport their indoctrination of socialism to the people. Another stronghold of the EU is the socialist Medicare that forces citizens to give away their private information. The European Union has 2 headquarters and is strongly represented and connected in and with the UN. The United States was founded on the principles of freedom and prosperity through hard work, as opposed to the European Union who believes in redistribution and punishment of hard work. The U.S. has always played a major role in the UN. Every time the UN has produced troubles in another country, or was diplomatically unable to solve a problem, they ask the United States to become the World’s Police force, on demand. However, once we solve the problem the UN and the EU blame us for our alleged “Imperial Interests”. But the truth is we have the right to benefit first, once we have solved the problem. The UN claims that we (The Unites States) owe them years of membership fees (yes it is true; in addition to all the donations we still pay membership fees). But let us do a little more math here. Considering what we owe the UN and what the UN owes us, for all the military actions we have performed under the UN Flag, the United Nations would owe us so much money we could reduce our Federal Deficit by 15 to 20%. Those are 4 of the 5 major Key players the UN needs in order to control the world as Shadow Government. The UN itself, how this organization operates and controls and maintains its power, will be shown in my final Blog. And I will show you interesting facts there. A lot of Blog Posts talk about the Copenhagen treaty as having a lot to do with building a World Healthcare and world government system. Well, those people are not so far off from the truth, but not the way they’re thinking of it… There is a method at work here. On Friday October 9th 2009, the Peace Nobel Prize Committee announced to award Obama with the Nobel Peace Prize. – Everybody was asking why and what for. Even Obama was surprised. Back then I wrote a blog clearing up that this was a clear signal from the Europeans to President Obama reminding him of the Liberal Agenda (http://is.gd/5iiqM). Meanwhile Obama has pushed through with foul tricks his Health care agenda. For about 3 weeks European Countries have sent more or less direct signals to the United States as of what they expect from us in the Copenhagen Summit. On November 6th the Copenhagen Environmental Summit had started. On November 6th the UN announced already the amount of money needed for third world countries – a minimum of 10 Billion Dollars. On November 7th President Obama had sent a clear Signal to Copenhagen by having his Czars in the EPA announce Greenhouse Gas as injurious for health. And though we would all agree on that, the question is why now and why so fast. The answer is simple and stated in the United States Federal Law – Now Obama can sign any treaty without consulting or getting approval from the House or Senate. In Laymen terms, Obama can now, of his own free will; sign over American Tax dollars and American Industry. Job Well done Obama Czars, this is one more example that proves that you know how to get around the will and well being of the American tax payer. November 10th Obama receives the Nobel Peace Prize. November 11th The European Union agrees on the verge of Copenhagen for an additional 15 Billion Dollars for the Third World Countries. Dear Readers this is NOT THE WAY to a world government – the world government IS ALREADY HERE through the back door and I will prove that to you – Right here right now. The UN is smart enough to know that a world government as dreamed of by Gene Roddenberry, a Science Fiction Author and founder of the show Star Trek, and convinced communist will always shipwreck on national interests. So the conclusion is to rule through a shadow government by influencing world economy and politics. 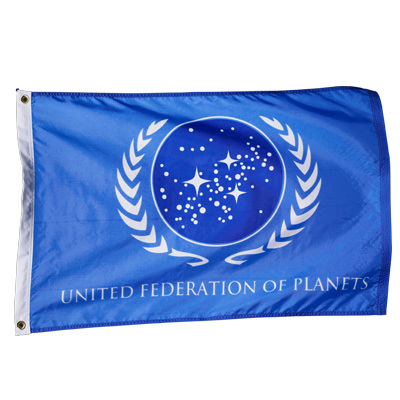 The flag of the United Federation of Planets was not by accident almost 1:1 taken from the UN Flag. We have to take a closer look at the behind the scenes action and what institutions, organizations, and official meetings the UN uses to control their power influence. And this is determining the key players of the master plan to control the world. Let’s get started at the beginning, the summits, because in order to determine the key players we need to know the control mechanism and meetings, and how the deals are made behind the scenes. There are five major summits per year that the world looks at. 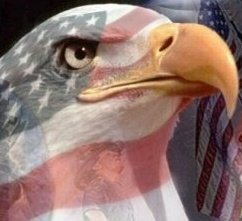 Up until now the United States of America has always been known for its independency because every President so far was looking out for the U.S. interests first. This made it hard for the UN and the European Union to come through with their War driving Policy through the back door and their Socialist Agenda of redistributing the wealth in order to bind the 3rd world countries closer to them. They use the two major summits (5 meetings per year) as political and diplomatic platforms to transport their ideals and will to the people. This is the only way to do that because a direct or official takeover would call for too much protest within the citizens of the individual countries. The G8 summit, founded in 1975 by France emerged out of the G6 (Group of 6) meaning the 8 richest countries in the world. Since the 2008 Washington Summit this group will be replaced by the G20. The G20 meets an annual 4 times per year. The finance ministers, economy ministers, and environmental ministers meet to determine the economy of the world – How to regulate and organize the money transfers and the world economy, as well as the key interest rate of the World Bank. This is the leading factor which determines the key interest rate of the individual countries. Always represented, giving big speeches, and making demands in the billions on the apron strings of every G meeting, is the UN. This institution has meanwhile found their way into every aspect of life, no matter if it’s an individual problem of a country or if it is a problem concerning the international relationship. There is nothing the UN is not involved in. And another group is always present – always in the tow line of the UN – always full of demands – representatives of the African continent. Those individuals are very interesting to look at and I will address them later. Now that we have covered the current Environmental Summit and the upcoming G20 Summit here are the key players in both summits. In the final Blog part 4/4 I will connect the dots. This summit takes place once a year. This year the summit is hosted by Copenhagen. I have covered this year’s summit in the parts 1 and 2 in this continues blog. Now that we have covered the 5 major summits we are not to forget the permanent sessions of the UN councils. The next step in order to understand how the world Government works we need to take a closer look at the key players. Those we cover in the next Blog. So stay tuned to see how we are already infiltrated and indoctrinated in the World Government. 15,000 diplomats meet in Copenhagen to discuss topics every American Indian and Farmer/Rancher in this World knows better. This will definitely not be your average “I am against the Copenhagen Treaty” Post, but rather a look at what is behind all of this. This Blog post has been written in 4 parts because the topic is so comprehensive that it cannot be covered in 800 words or less. The connections and backgrounds are questionable and after reading it to the end you will see that “suspicious” is a better word for it. We all know the importance of saving the environment and we all can agree that we cannot move on and destroy the planet as we do now. Reading about and listening to the Native Americans we can learn so much about the balance between Nature and modern day society. But here is the other side – Industry, means employment, means prosperity – but one cannot be without the other. If we don’t preserve the environment, and we only focus on the industry, we destroy our habitat. The best way to learn how to preserve is to listen to the Native Americans and to support our Farmers and Ranchers. Good Farmers cultivate the environment and live in coexistence with the very same, and so do the Native Americans, but definitely not a bunch of politicians and lobbyists in Copenhagen. Listening to Environmental lobbyists I really get confused. Every single day we are swamped with new so called scientific reports blaming something else for the CO2 overhaul. The most laughable thing was when so called scientific research showed that cattle herds are responsible for 18 % of the greenhouse gas just by (pardon my language) farting which is suppose to be more than all trains, automobiles, and airplanes put together. Did you know that the bottled water Industry use more than 1.5 million barrels of crude oil to manufacture their plastic? Did you know that less than 25% of those bottles are actually recycled? The rest ends up in landfills or in the Ocean. Scientists say that bottled water is not better for you than tap water. In fact it could be worse. The EPA standards are looser and in some cases the bacterial count is almost double. Studies show that eating meat contributes more to greenhouse gas than driving a car. The contaminated run offs from slaughterhouses is a major source of water pollution. Do you think all the politicians and Lobbyists in Copenhagen will abdicate their fine dinners and buffets filled with finest pork, and beef and poultry? Did you know that hybrid batteries contain nickel which is mined and smelted in a plant in Sudbury, Ontario? A plant that has caused so much environmental damage and acid rain that NASA uses the so-called dead-zone around the plant to test its moon rovers. Did you know that the nickel has to be shipped via massive containers to a refinery in Europe, then off to China to be made into nickel foam, then to Japan to be manufactured, and then finally all the way back to America. Did you know that all that hassle is to build one single hybrid battery into a car? When you combine all the energy it takes to build and drive a hybrid it adds up to almost 50% more than it does to build a Hummer. Did you know, the excuse that hybrids save fuel is only in terms of money? Studies show that people driving more Hybrids might result in more fuel compensation than gas cars. Are you confused now? Imagine each and every Politician in Copenhagen having their own airplane, stretch limousine, back up limousines, security limousines, not to forget air-conditioned rooms and suites in the finest Hotels, and so on and so on. Well, this is the truth they don’t want you to know. Not the politicians and not the lobbyists (http://is.gd/5h7yQ). Why is it that a few weeks back hackers obtained over 1,000 Emails and more than 3,000 files from the University of East Anglia in Britain (http://is.gd/5h7FR) showing evidence that scientific data has been rigged to make it appear as if human beings are causing global warming, and the Media is silent? You would think that in a world with “Free investigative journalism” the Press would be all over this. I have asked this question on some of my social media sites and the average response I obtained was “Media is bought and corrupted by the left wing socialists”. That is 100% true, but yet the truth is not all that easy. Several Questions come to my mind and to the mind of my friends here. What has the reduction of Greenhouse gas got to do with financial support of 3rd World countries? If a country does not fulfill the reduction and has to pay a fine – where does the money go and who is the beneficiary of that money? Countries can buy so called free tickets by investing in alternative energy in third world countries – who is controlling this and what countries? What role has the UN in all of this? I know that this is a lot of information and a lot of numbers, but I told you upfront, if you want to know the truth you have to read on because I will prove to you that the world government is already here. Not directly, and not the way you think – No, through the back door with ideas that we’ve been subjected to since the late 60’s and early 70’s using TV and TV shows as brainwashing and infiltration. And the mastermind is the United Nations and their questionable agenda. Do you want to know how the World government is already ruling? In my next post I will show you.